The champion Vasyl Lomachenko(6-1 4ko) defended his WBO Super Featherweight title against power puncher Nicolas Walters (26-0-1 21ko). These two fighters have been on a direct course of meeting in the ring for over a year, but do to contract disputes it was prolongued until last night. The fight was controlled early on from the champion Lomachencko, who threw more punches, changed the angles and was one hundred percent the general in the ring. Walters seemed timid, holding his power punch back, waiting for that one knock out punch. being warned by Tony Weeks for rabbit punches and told to keep the fight clean. 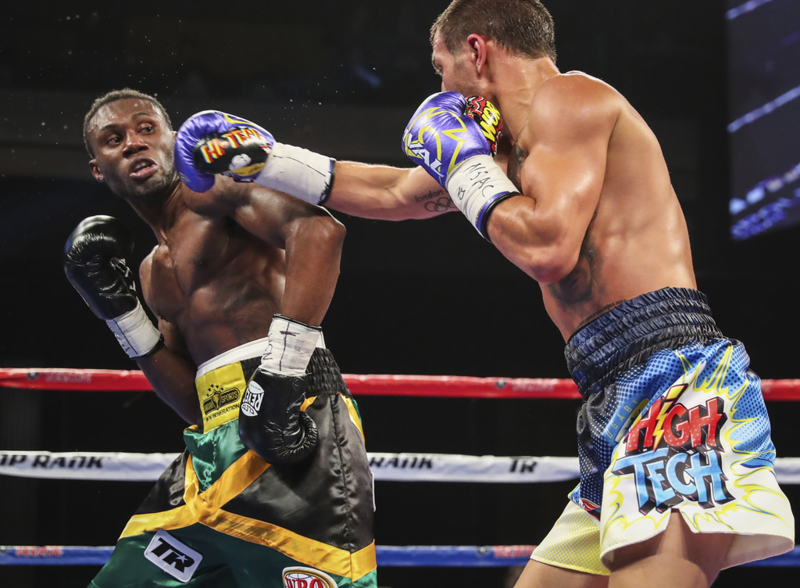 The fifth round showed even more frustration for Walters, as he gave a low blow to Lomachencko. Lomachenko even stopped fighting at the end of the round, standing completely still for the final 10 seconds, showing the crowd and judges that Walters would not press the fight at all. The seventh round was a showcase for Lomachenko, as he turned on the speed, punched at will and completely beat the spirit out of of Nicolas Walters. It seemed that during the round Walters was looking to Weeks and his own corner to stop the fight. Walters was able to last the round but decided not to continue any further, saying “No Mas” and conceding the fight betwen the 7th and 8th rounds. Nicolas Walters, but it was also a point proven on how good Vasyl Lomachenko really is. A fighter with less than 10 professional fights could be the top pound for pound boxer in the world. Cannot wait to see who he fights next. 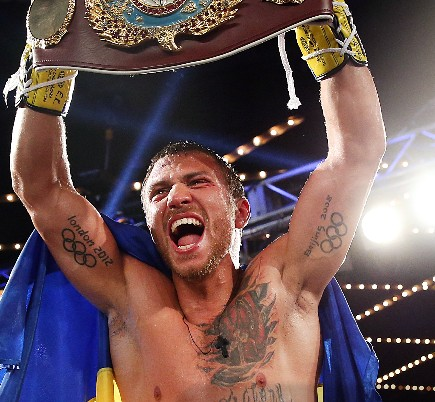 Just How Good Is Vasyl Lomachenko? People are saying Ukrainian wunderkind Vasyl Lomachenko might end up being the greatest athlete to ever lace up a pair of gloves. I say we’re living in an age of hyperbole, an age where people are literally considered evil simply for voting for one particular candidate over another. Indeed, all the over-the-top rhetoric has grown tiresome to me. Still, the s endless praise heaped on Loma – as he’s called – by everyone from Bob Arum to Joe Rogan is not without merit. Heck, even a phone tech my wife was recently talking to was talking up the guy. That kind of attention is at least generally based on a solid foundation. 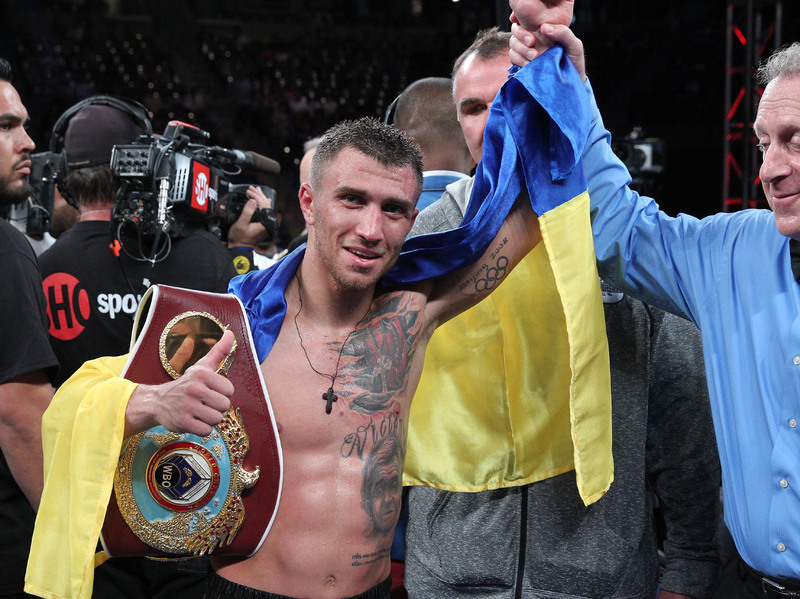 Is Lomachenko, however, as good as he’s cracked up to be? Well, we know he lost once, albeit in terribly unfair fashion to Orlando Salido (a fighter who I generally like). With that aside, however, he’s proved to be marvelous in the ring. Never mind that amateur record – which is nearly sickening in its awesomeness – there’s also wins like the absolute beatdown he laid on Roman Martinez late last spring. Make no mistake about it, Loma is something else. The footwork, the combos, even the power – it’s really impressive stuff. There’s also the guy’s vaunted confidence. This here is a man who dares to be great. Seriously, could you picture any of the crop of today’s safety-first fighters wanting to face the likes the 26-0-1 Nicholas “Axe Man” Walters? The 6-1 Lomachenko has proven himself ready, able and willing to fight the destroyer of Nonito Donaire and others this very weekend. Sure enough, the Lomachenko-Walters fight at the Cosmopolitan in Vegas for the WBO world super featherweight strap might give us lots of insight into Lomachenko’s future. Sure, Walters hasn’t fought in ages, but he’s only himself to blame if he doesn’t show up Saturday night with his A-game. In other words, he’s a legit challenge for the man some are already claiming might be the greatest ever. Indeed, those who feel Walters has no chance of pulling off the upset are fooling themselves. That’s why the fight should make for such a solid gauge of Loma’s talent. Walters is top level competition, the kind of name that glistens on a resume. Should Lomachenko win and win impressively, the hype will start to become more than hype – at least to some degree. Ultimately, it will take a while to tell if this very talented boxer will attain the insane promise he’s presented the world with – or that some have presented before him. For now, we only know that Lomachenko has proven himself to be quite accomplished in just seven fights and that his potential is considerably higher than the average fighters. In the end, Lomachenko himself will prove to us whether or not he’s as good as advertised. Give him credit, though, for daring to be great. If only more talented boxers had the man’s ambition. Or Walters’, for that matter. The Axe Man has chosen one hell of a tree to try to cut down this weekend, after all. The following is the Boxing Insider notebook for the week of September 27th to October 4th, covering the comings and goings in the sport of boxing that you might have missed. TMZ Sports recently caught up with Dana White and he told them that the often talked about Conor McGregor vs. Floyd Mayweather Jr. fight will never happen, and that the fighters are more interested in money than in actually trading blows. He also told TMZ that if Floyd does want to make a deal to fight McGregor, it would not be a boxing match and would have to be an MMA style bout. Two-Time World Champion Andre “S.O.G.” Ward (30-0, 15 KOs) officially kicks off training camp in Hayward, CA with trainer Virgil Hunter ahead of his November 19 showdown at T-Mobile Arena in Las Vegas against WBO, WBA and IBF Light Heavyweight World Champion Sergey “Krusher” Kovalev (30-0-1, 26 KOs). 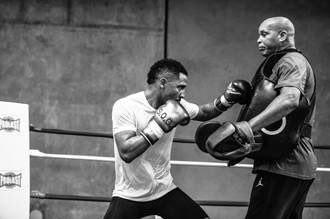 Ward’s training camp, which will serve as a base for Ward over the next several weeks as he continues his quest to dominate the light heavyweight division, is sponsored by a resounding collection of American-based companies including Jordan Brand, Shoe Palace, JetLux, and ProSupps. Boxing Day comes to Las Vegas one month early with a blockbuster fight between two of the hardest hitters in the sport. Two-division world champion and two-time Olympic gold medalist VASYL LOMACHENKO will defend his World Boxing Organization (WBO) junior lightweight title against undefeated former world featherweight champion NICHOLAS “Axe Man” WALTERS. Lomachenko vs. Walters will take place Saturday, Nov. 26, at The Chelsea inside The Cosmopolitan of Las Vegas. It will be televised live on HBO World Championship Boxing® beginning at 10:35 p.m. ET/PT. Ottawa and Outaouais boxing fans in Canada will receive a special Christmas gift when Montreal’s adopted son and the most dangerous world title challenger,Artur Beterbiev (10-0, 10 KOs), faces Paraguay slugger and reigning WBC Latino light heavyweight champion Isidro Ranoni Prieto (26-1-3, 22 KOs) in a real power punching affair, December 23 in Gatineau as part of the GYM Boxing Series, presented by the Casino de Lac Leamy in collaboration with Videotron. Beterbiev is world ranked by all over the major sanctioning bodies: International Boxing Federation (IBF) #2, World Boxing Council (WBC) and World Boxing Association (WBA) #3, World Boxing Organization (WBO) #4, and The Ring magazine #6. WBO #10 rated contender Prieto has won his last two fights by knockout, since losing by unanimous decision to Eleider Alvarez in a spectacular 12-round fight, in which he refused to give an inch to the WBC # 1 challenger on August 15, 2015 at the Bell Centre in Montreal. Expect fireworks as the KO ratio for Beterbiev and Prieto is an incredible 80-percent. “Despite the claims of some promoters and light heavyweight challengers,” Groupe Yvon Michel (GYM president Yvon Michel said, “it’s a fact that Artur Beterbiev is the most dangerous and biggest threat to all of the world light heavyweight champions All contenders for titles change their minds when it comes to getting in the same ring with him,” said the president of GYM, Yvon Michel. Johnson has a record of 1-0-1. The Bridgeton, New Jersey native is had a long amateur career of 211-31. He was a 2007 National PAL in 2007 and 6 time in Florida PAL champion. Johnson was a 3 time time Ringside World Championship Runner-Up; 3 time National PAL Runner-Up Johnson is 24 years-old and turned professional in 2014, and is is coming off a four-round unanimous decision over Lamont White on July 22nd in Atlantic City. David Sparks of Brooklyn, New York has a record of 2-0. The 31 year-old turned professional in 2014 and in his latest outing, he won a four-round unanimous decision over Marcellus Yates on March 28, 2015 in Queens, New York . Boxing got some much needed good news on Tuesday (it’s been in a doldrums worthy of Coleridge lately) when word arrived that Ukrainian vunderkind Vasyl Lomachenko will be facing hard hitting Montego Bay native Nicolas Walters on November 26th in Vegas. The scrap will be for Lomachenko’s super lightweight title and will air on HBO. Although neither Loma nor Walters, whose nickname is the Axe Man, are household names, this is a serious fight for boxing devotees, the kind of matchup the sport needs to see more of in order to be prosperous and healthy. Walters – 26-0-1 – has been out of the fight game for what seems like forever, while the 6-1 Loma has been waiting for an opponent worthy of his considerable talent. Although few may feel Walters can rise to the occasion, the former titlist is indeed one of the biggest threats out there for the lauded (former) amateur great. Needless to say, this battle is must see for fight nuts. Indeed, Walters is a skilled and powerful fighter in his own right (just ask Nonito Donaire). Sure enough, it may prove to be unwise to write off the Axe Man in this case. Some may recall that the two men were supposed to fight some time ago but that Walters, so the tale went, reportedly asked for too much money. Whether this story was true or not is unknown to this author – at this point, does it really matter? – but it does make clear the fact that fans have been clamoring for this matchup for some time now. The (potential) pairing wouldn’t have generated as much buzz as it did the first time around if no one was interested. Lomachenko, whose last fight went down in June when he decimated a game Roman Martinez, will be riding a five fight winning streak since losing a dirty battle to the gritty Orlando Salido back in 2014. Walters, on the other hand, will be fighting for the first time since December of last year when he received what can best be described as a controversial decision draw to Jason Sosa in a bout this writer and others clearly believed he won. Previously, Walters had stopped five of his last six opponents, including such notables as Donaire and Vic Darchinyan. With rough patches now behind them, both fighters are entering what is surely the biggest match of each man’s life, a match that arrives none too soon for fans discouraged with this showcase era of boxing.